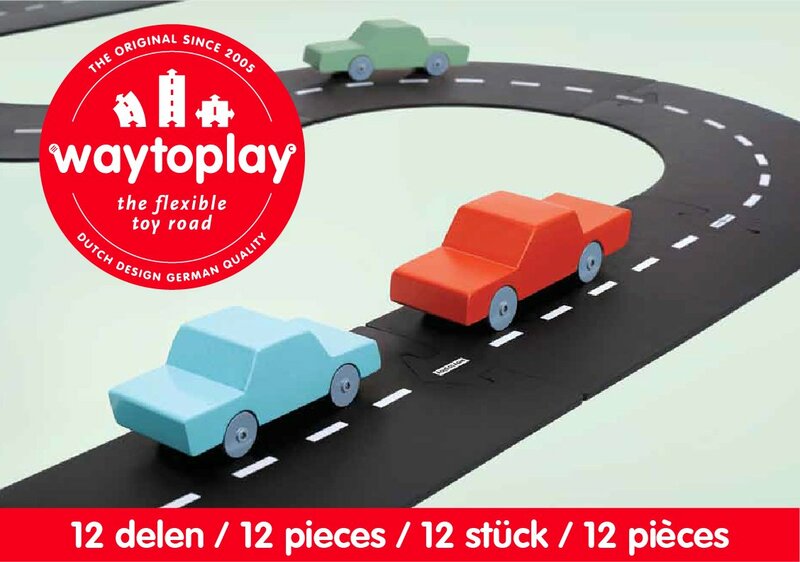 Waytoplay is more than a toy, it is a Dutch Design original. 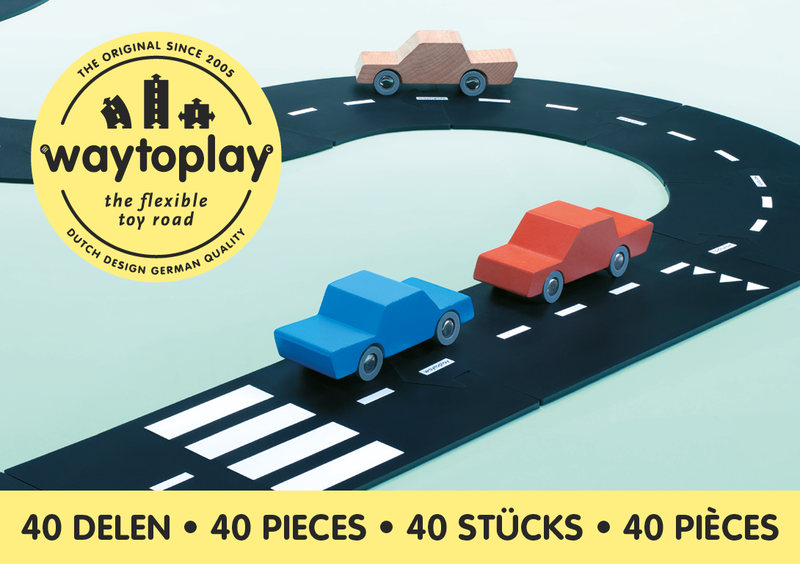 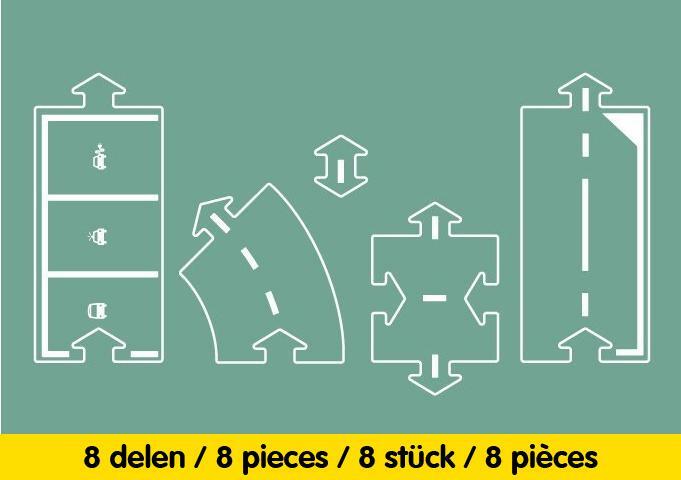 Each set features easy to connect road segments. 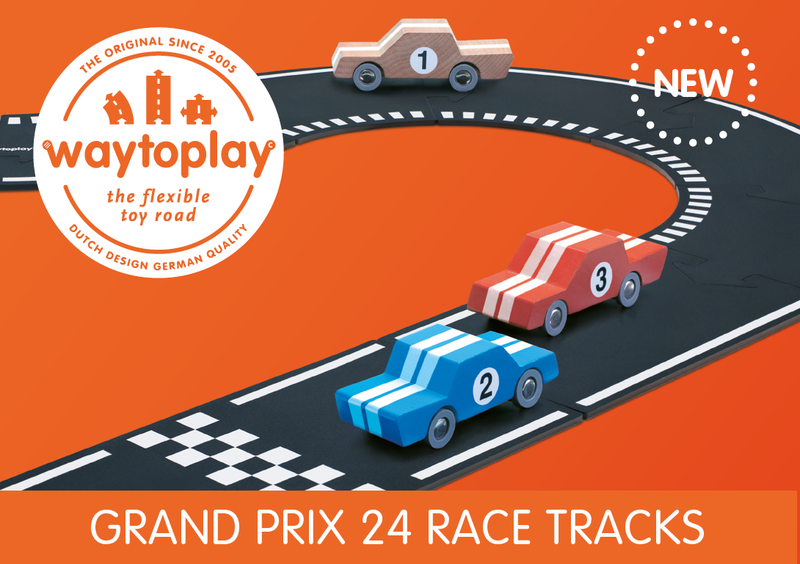 Straights, curves, parking spaces, roundabouts, junctions and more. Made of high grade, child safe rubber, simply roll out an adventure anywhere.